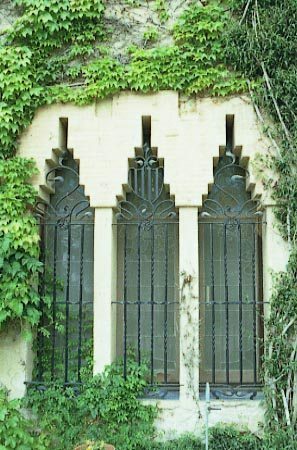 Visits: Private owned property. 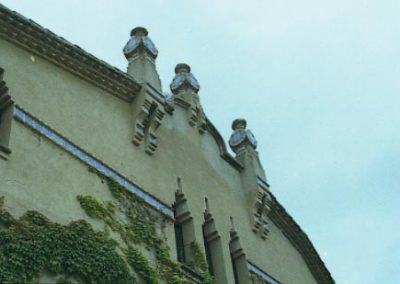 It’s possible to visit it with previous appointment. 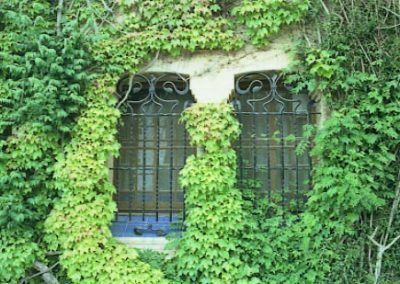 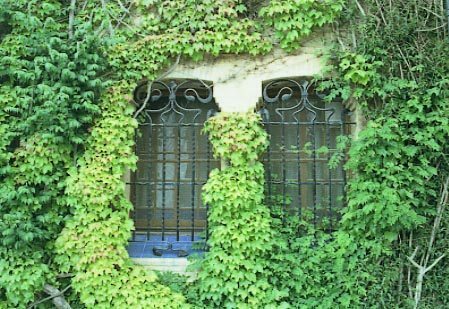 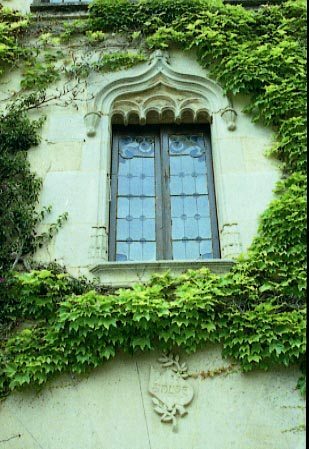 This is an old “masia” (Catalan country house) dated in 1640 and rebuilt in Modernista (Art Nouveau) style by Manel Joaquim Raspall i Mallol between 1.908 and 1.909, when the house was bought to the old owners the Xammar family by Joan Millet, a brother of the founder of “Orfeó Català” which headquarters are located in the “Palau de la Música Catalana“. 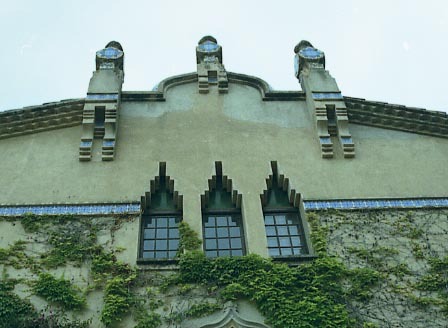 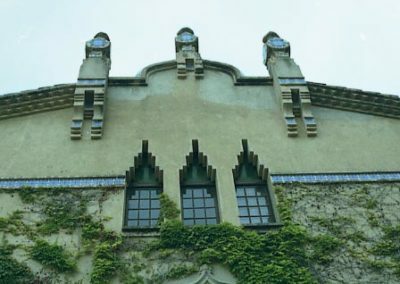 Raspall respected the basic house structure and gothic elements as the main door, double windows etc., but introduced new elements as the pinnacles, the steeped windows in low and upper floor and the ceramic adorns. 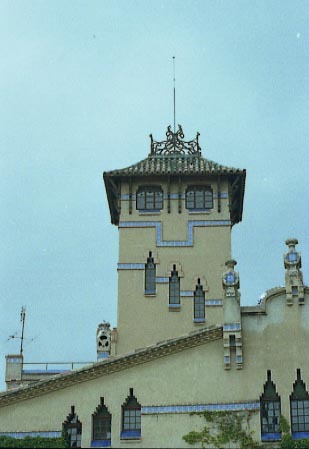 The tower give to the building an imposing aspect. 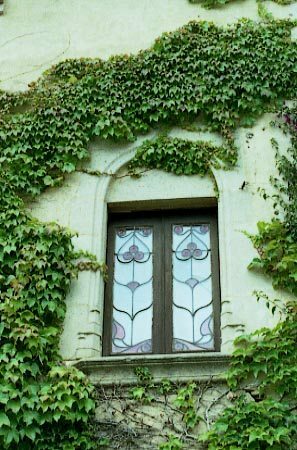 The windows are closed by decorated crystal. 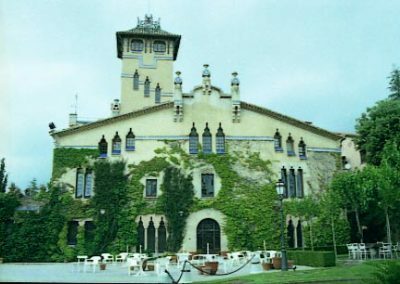 The interior is profusely decorated with elements as fireplaces, forged iron designing the Catalonian coat of arms – also in windows gratings – and ceramic panels.